Nicknamed "The Capital of Silicon Valley" this South Bay hub has a lot to offer. From its early days as an agricultural wonderland known for lush fruit orchards to the "capital city of the digital revolution", Silicon Valley's resilient and endlessly inventive ecosystem has provided the foundation for world transforming innovations. Founded in 1957 in San Jose, California, transistor and integrated circuit manufacturer Fairchild Semiconductor became the first to make transistor components using silicon, resulting in the emergence of hundreds of small businesses ready to compete. Later in the century, high-tech powerhouses Apple, Google and Cisco emerged from Silicon Valley, but their influence extended well beyond the San Francisco Bay Area. Today Silicon Valley is booming, and San Jose continues to flourish. In the heart of California's high-tech Silicon Valley, vibrant San Jose and it's close knit neighbors have produced a plethora of small businesses ready to be discovered. From an agricultural mecca to a flourishing epicenter of thousands of growing tech companies. This cool, innovative haven we call San Jose has long been a hub of innovation, creativity and success. In addition to the nickname The Capitol of Silicon Valley, San Jose ranked 4th on The Top 25 Cities for Small Business in 2017 by Biz2Credit. Biz2Credit defines "small business" as companies having fewer than 250 employees or less than $10 million in annual revenue. What once began as a marshy area with numerous Willow trees surrounding the Los Gatos Creek and Guadalupe River, is now a bustling shopping district filled with families walking up and down the sweeping tree-lined sidewalks. Willow Glen offers a small-town feel with the luxury of a big city. Willow Glen is home to small boutiques, vintage shops, sidewalk cafes and a variety of unique local businesses. If you're looking to spice up your wardrobe, Ibiss Boutique is the modern girl's dream closet. The lighting is bright and highlights all of the great clothing displayed around the boutique - it's a nice break from overcrowded clothing stores. If a little retail therapy isn't enough to satisfy your needs then perhaps a hand crafted treat from Mariette Chocolates will do the trick. Mariette is the latest addition to the growing community of small businesses in Willow Glen. Although Little Portugal is one of the smaller and lesser known communities in the area, it holds many gems. Located in the eastern part of San Jose, the four-block stretch of Little Portugal is nestled between 33rd Street and Highway 101. The iconic landmark, Five Wounds Portuguese National Parish was founded and run by Portuguese immigrants who then settled in the nearby neighborhood. Five Wounds Portuguese National Parish is a central point of interest in the community. There are 55 restaurants in the Bay area that have earned the coveted Michelin star and a spot in the 2018 Michelin Guide, and ADEGA in Little Portugal is one of them. The business is family owned and operated, and one of only two Portuguese restaurants in the USA to be awarded the star. ADEGA focuses on fresh and traditional Portuguese seafood dishes with seasonal ingredients. Located in the corner of Little Portugal is Cafe Do Canto - a charming cafe where you can find strong, high-quality coffee. Another tiny shop that offers goods is L&F, a family owned fish market where you can find imported goods from Portugal and Brazil including piri pirir, salted cod, breads, cheese and more. Little Italy was the first Italian neighborhood in San Jose. The old houses, which were converted into shops and restaurants are now home to four authentic Italian businesses. The entry point to this historical neighborhood is nestled among San Jose's cultural pockets, just a few blocks away from San Pedro Square. Situated right next to the Little Italy sign, Paesano Ristorante Italiano serves classic, hearty, Italian meals. If you're looking for premium Italian coffee roasted the traditional Italian way, this is the place. Bel Bacio is located in a cute location just three doors from famous Henry's Hi-Life in the historic Torino Hotel. San Pedro Square is the oldest district in San Jose and home to two national landmarks, the Peralta Adobe and Fallon House. San Pedro Square is also home to San Pedro Square Market, a bustling dining and nightlife destination. The atmosphere of the Market is alive and bustling, yet laid-back and welcoming. Culinary choices are endless because San Pedro Square Market is home to over 20 vendors serving food, drinks, coffee and dessert. Vendors change periodically giving newcomers the opportunity to expand their business. Located in the San Pedro Square Market Parking Garage, pop-up shops that normally depend on online sales are able to provide a bricks-and-mortar environment. Small business owners are given the opportunity to be a part of MOMENT - a trend of pop-up shops that turn retail into an event, giving these small businesses the ammunition they need to thrive in a competing environment. The South First Street Arts District of San Jose is home to the historic California Theater and the site of several city festivals and events including South First Fridays, the SoFA Street Fair and SoFA Sundays. The SoFA Market is an intimate food hall with a line-up of independent eateries. Hawaiian Poke Bowl and Vero's Coffee Bar are two of the few family owned establishments offering specialty dishes/drinks that will leave you wanting more. Across the SoFA market, you will find art gallery Anno Domini established in 2000 and showcasing urban contemporary art and culture. Small businesses make up a majority of the SoFA market district and the area is unique and exciting for the simple reason that it supports independent businesses. Japantown grew from a community of immigrant Japanese who found employment in the fruit orchards around Santa Clara Valley. By 1902, Japanese businesses opened in Japantown specifically to cater to the needs of approximately 3,000 seasonal workers. Japantown is one of the last three remaining historic Japantowns in the United States. Today, Japantown the area has diversified and a broad group of ethnicities share this now diverse area. Japanese-American proprietors make up half of the shops in the community making it easy to traditional Japanese goods and shops such as Nikkei Traditions or Shuei-Do Manju. Combining elements of Japanese and American culture, State of Grace​ opened in 2002 with the mission of executing artwork that not only fuses two cultures, but incorporates both new and old techniques. Located in a pocket of Japantown, this tattoo shop prides itself on badass tattoos. To promote local businesses, the Downtown San Jose Association has organized Dine Downtown San Jose. From July 13-22, some of San Jose's best restaurants will celebrate Dine Downtown Restaurant Week with prix fixe meals, chef's specials and food-and-drink pairings. For those of you not familiar with the term "prix fixe," it's a meal consisting of several courses served at a total fixed price - leaving you to enjoy all the delicacies of the restaurant of your choosing without any surprises at the end of your gastronomic experience. Chef's special and pairing's allow for a unique dining experience and pushes you to get outside of your comfort zone. Reminder: Dinner begins at 5:30 p.m. nightly and the list of participating restaurants can be found here. Dine Downtown is proof that San Jose is more than just a technological hub. 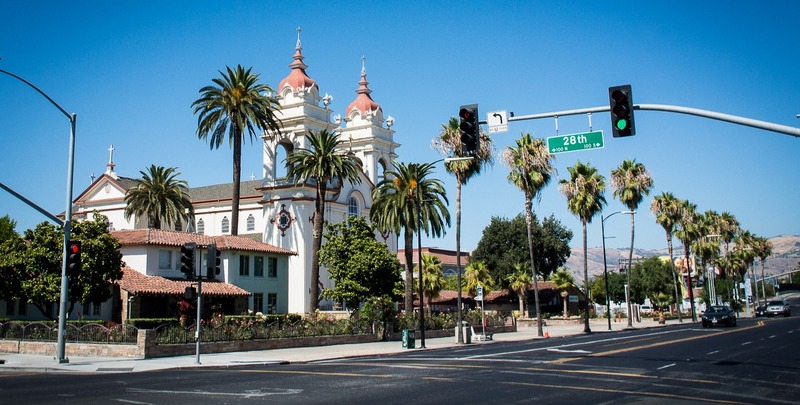 San Jose is home to hundreds of local businesses just waiting to be discovered.